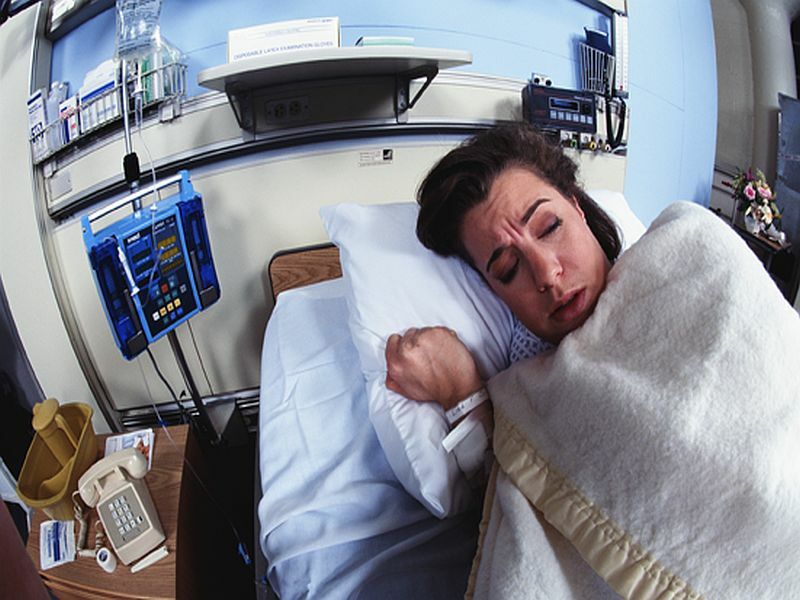 THURSDAY, Jan. 10, 2019 (HealthDay News) -- Many chronic fatigue syndrome (CFS) patients say they aren't taken seriously when they arrive in hospital emergency rooms, a new study finds. It included 282 people with diagnosed CFS who completed an online questionnaire. Of those, only 59 percent had gone to the emergency department (ED) for treatment of CFS symptoms. Two-thirds of the respondents said they would not go to an ED because they thought they wouldn't be listened to, or they had experienced previous unsatisfactory experiences. Of those who did seek emergency care, 42 percent said they were told their CFS-related health complaints were all in their head, according to the Georgetown University Medical Center researchers. "The high proportion of patients who were basically told, 'It is all in your head' by ED staff indicates that there is much misunderstanding and misgivings about the diagnosis of CFS," said senior investigator Dr. James Baraniuk. He's a professor of medicine at Georgetown and an immunologist who treats people with CFS. "These patients should feel they are respected and that they can receive thorough care when they feel sick enough to go to an ED," Baraniuk said in a Georgetown news release. Emergency staff and physicians require more training to better understand CFS, he added. "An already available CFS Symptom Severity Questionnaire can be used in the ED to assist with the diagnosis of CFS, and to differentiate exacerbations of CFS symptoms from medical emergencies such as heart attacks or infections," Baraniuk said. The study found that the main reason (33 percent) why CFS patients went to the emergency department was a condition called orthostatic intolerance. It occurs when a person feels faint when standing or sitting upright because not enough blood is reaching the brain and heart. Symptoms only improve when a person lies down. "This is of importance because it provides a starting point for diagnosis and treatment by ED physicians," Baraniuk said. "This condition is something that can be readily addressed by ED caregivers," he said. "There is a real need for physician education that will improve their efficiency in identifying and treating CFS, and in distinguishing CFS symptoms from other diseases in the exam room." The findings were published Jan. 10 in the journal Open Access Emergency Medicine. Chronic fatigue syndrome affects between 836,000 and 2.5 million Americans, according to the National Academy of Medicine.